A regional publisher is set to axe 12 jobs as it outsources pre-press and design work to a company in India, according to union claims. 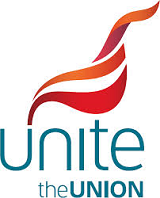 Unite said that Scottish Provincial Press plans to cut the roles at the end of the month with workers in Inverness, Wick and Golspie affected. The union said the work was being outsourced to Express KCS, which has a workforce near Delhi. Scottish Provincial Press publishes 15 newspapers in the North of Scotland, including The Inverness Courier, The Northern Scot, the Highland News and the John O’Groat Journal. Unite regional officer Willie Wallace said: “It seems strange that they’re doing this to save money but these are jobs that are going in the Highlands that are hard to come by. He said the jobs were expected to go by the end of July. Other regional publishers have also outsourced work to Express KCS, including Johnston Press, which transferred its advertising production work there in 2012, with the loss of around 60-70 jobs. Scottish Provincial Press has declined to comment. I feel gutted for those affected, I really do, and there will be no chance of finding a similar job in this area. Coming to a pre-press/newsroom/admin office near you soon, people, get ready for it. I’m pretty certain that Newsquest outsourced all pre-press to KCS around 2010/11, local businesses eh…. Give JP a ring and ask them about India! I worked for JP and their adverts were appalling. Really cheap and amateurish, enough to deter any self-respecting business from advertising with them. It might explain why the ad reps always struggled. Now, I am at Local World and their IT dept is in ahem, Bangalore. Again, a poor, second or third class service. Pay peanuts get monkeys, as they say.